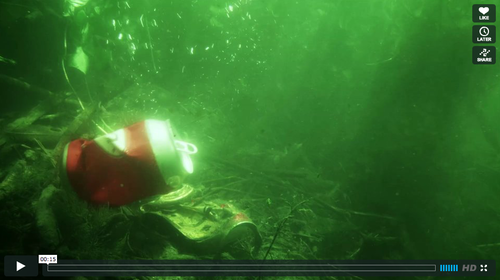 Reverse Litter TV Spots - Schaefer Advertising Co. 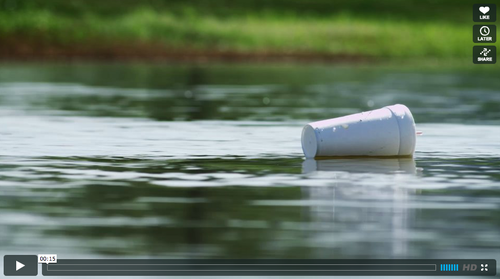 In an effort to bring awareness to the consequences that littering can have on Metroplex waterways, our client Tarrant Regional Water District (TRWD) partnered with several cities in the DFW Metroplex to develop a campaign called Reverse Litter. 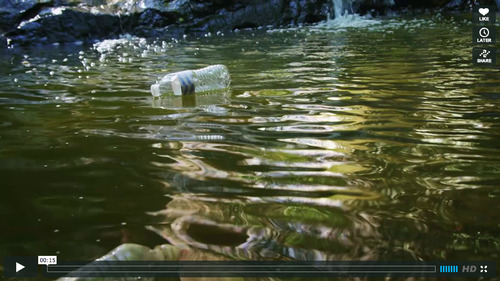 Our campaign featured four :15 TV spots that aimed at showing how litter on land ultimately ends up in our waterways. Every bit of these TV spots are real (no CGI animation was used), which made for a lot of planning to ensure we could create seamless transitions from scene to scene. Click on the screenshots to view each spot, or learn more about our Reverse Litter campaign by clicking here. Each spot focuses on the most frequently found litter in our waterways: aluminum cans, styrofoam cups, plastic bottles and plastic bags. The emphasis of the campaign is that accidents do happen and you can unintentionally litter even when you don’t really mean to. Luckily, we can all be a part of the solution and help reverse litter by being more mindful of our actions and by lending a helping hand and picking up litter that you find near your home, office, school, street or playground.